New York Fern, a smaller sized fern with bright green fronds. Ostrich Fern, which can grow up to 6 feet tall. Christmas Ferns, which as its name suggests, is a favorite holiday gift. The Fiddlehead Fern, whose furled fronds can be harvested and eaten. These near maintenance free plants will add a constant touch of green as well as tropical beauty to any landscape. Fern plants ship bare root. 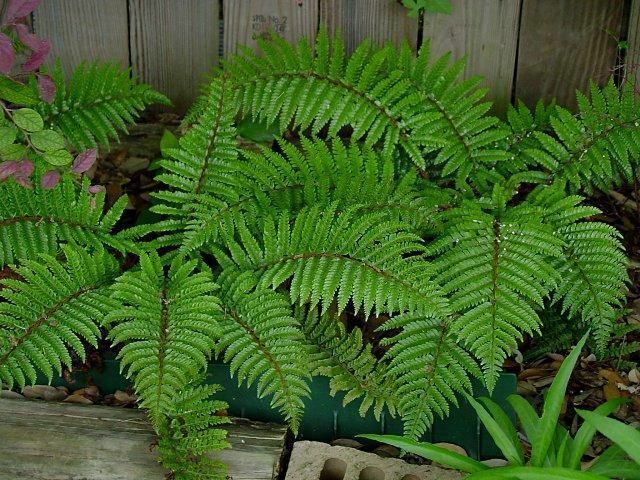 Ferns add a whimsical enhancement to any shady part of the yard or garden. Not only are ferns a beautiful addition to the yard, but there are also a wide variety of benefits to growing them. Ferns are a low maintenance plant that requires very little attention. They are quite tolerable to many different types of soil. They adapt well to their environment, and although they prefer the shade, they can easily tolerate full sun if they get enough water. Pests are not a problem when growing ferns in the garden. Under the proper conditions, ferns are highly resistant to a large variety of pests. They have a natural resistance to diseases which might otherwise harm other plants. The diversity of ferns is quite incredible. They come in varying sizes, grow in many locations around the world, and come in a wide spectrum of frond styles. They can be a stand-alone plant in a pot or a complementary grouping in the garden. They provide a perfect addition to a perennial flower bed, or as edging around the house. As many gardeners know, keeping wildlife out of the garden can become an annoying task. Fortunately, ferns keep this burden at bay. Deer, squirrels, rabbits, chipmunks, groundhogs, voles, and other pesky animals seem to have absolutely no interest in ferns. This is a happy relief to gardeners who struggle to maintain their garden. Another benefit of growing ferns in the yard is they work quite well as a way to camouflage an unsightly area with their beauty. Ferns can easily hide such eyesores as utility boxes and unattractive basement walls with their delicate fronds. They can also be planted as an alternative to mulch, therefore acting as a natural form of weed control. With so many varieties, species, and color variations of ferns and the many benefits they provide it is hard to imagine passing this plant up.